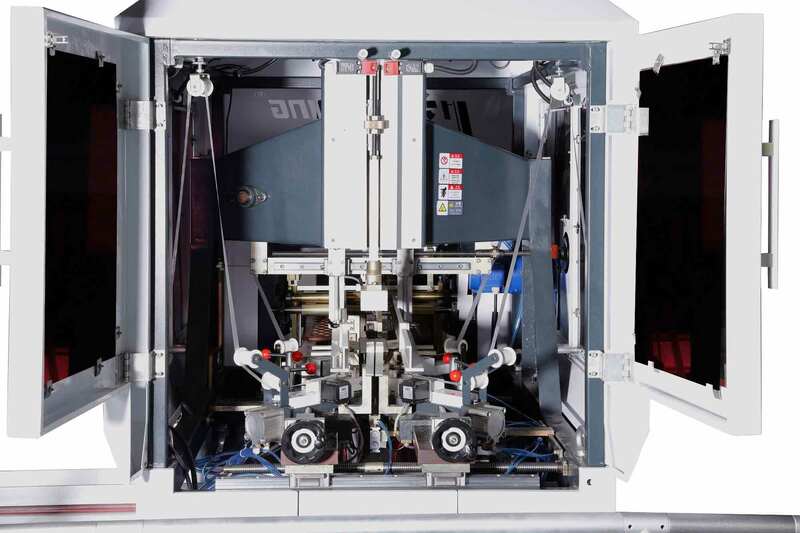 HM-ZD6418G/K Automatic Rigid Box Machine is one of the most advanced fully auto box machines by our company.It is suitable to make various types of rigid boxes for mass produc-tion. Such as mobile phone boxes, gift boxes, cosmetic boxes,watch boxes, slating boxes, slip case(option), clam shell box(option) etc. Size range is bigger than ZD350A, more suitable for current packaging market. Machine s appear-ance is new design which is more safe and beautiful. HM-ZD6418G/K adopts PLC and man-machine control,camera tracing system, and can automatically feed cover paper , feed greybeard, tape four corners, spot greybeard, lift box, wrap box, fold corner edges and form box. 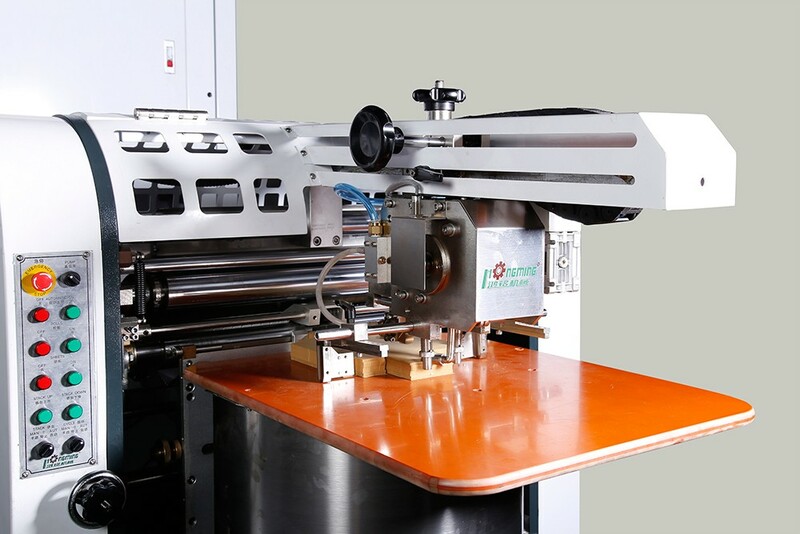 The feeder, the gluer and the conveyor are driven by well known servos which have continuously variable transmission and enjoys high accuracy, easy adjusting. and less time consumption. 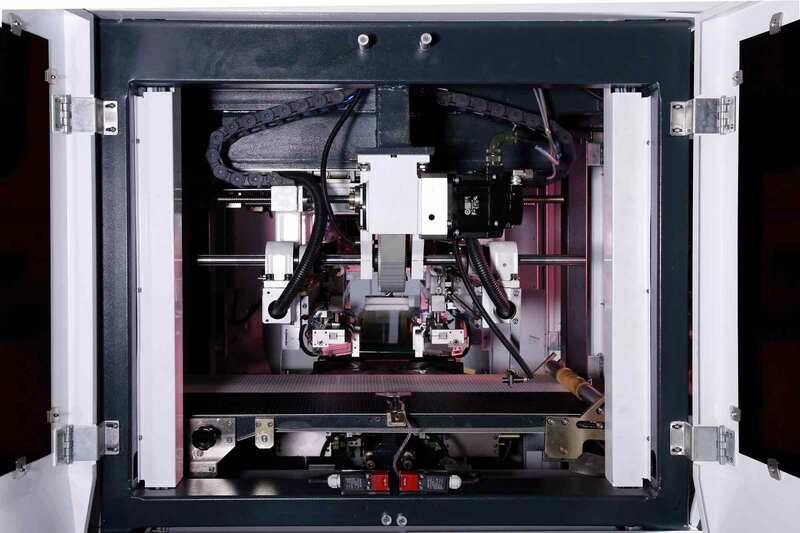 The spot unit adopts Germany camera with 5 million pixel and spotting accuracy to ±0.05mm. 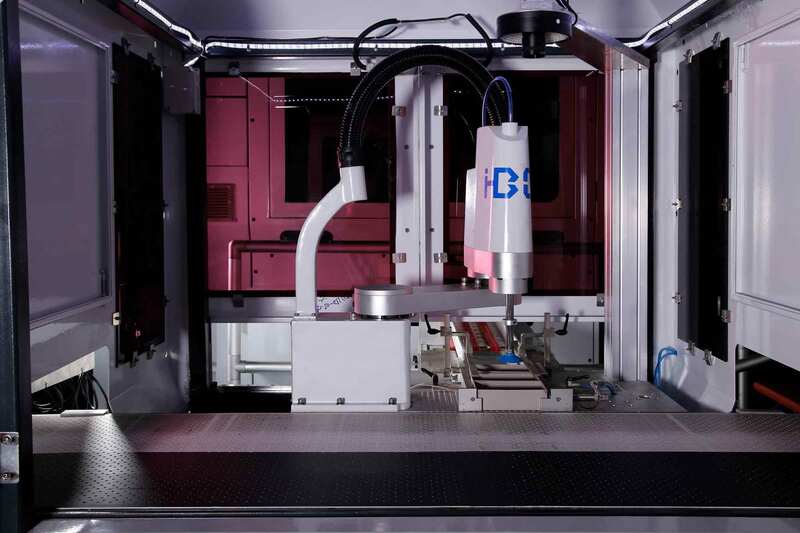 The forming unit employs Germany REXROTH linear slider and virtual cam driving system, guaranteeing the stable quality and fluent movement and enlarge the folding-in depth and corner edges. 1-2 operators can run the machine under production 1200-1800 pcs/ hour . 12. Remodel the taping m/c into Board assembling m/c (optional). 13.Suit to long paper ear box production. 14.Unique innovate glue application suit to both hot glue and cold glue. 15.Suit to groove paper production. 1. The finished Box Max. sizes are determined by paper size. 2. ﻿Either the Max. Sizes or the Min. Sizes can not be fulfilled on the same box. 3. 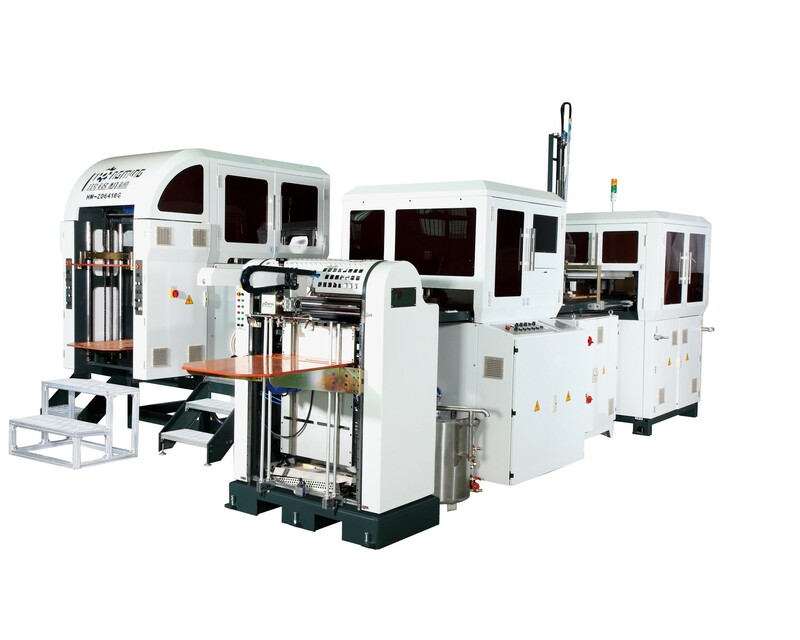 ﻿The production speed of the rigid box machine is determined by the box size, paper and greyboard materials. 5. Item 5, item 6 and item 8 are optional device for HM-ZD6418G.